For the optimization of the 17.5*6.0 Aluminum Alloy Wheels structure, with the development of science and technology, the optimization method is constantly improving. The finite element method is one of the most commonly used methods in optimization analysis. The finite element method can not only solve most structural problems, but also can be applied to partial differential equation problems. China has also made breakthroughs in the optimization research of the hub structure, and independently developed the structural optimization software, making an indelible contribution to the optimization of domestic 22.5*13.0 Aluminum Alloy Wheels design. For example, Harbin Institute of Technology established a mathematical model in the wheel optimization program to control the spoke radius and the central angle, and input the optimization result into the finite element program for stress analysis, and optimize the data according to the analysis data, which greatly improved the force of the hub structure. situation. Therefore, the structural optimization design of the hub has also undergone corresponding changes with the advancement of scientific research. The force analysis of the hub is carried out by the finite element method to determine whether the structure is reasonable and how the structure is improved. 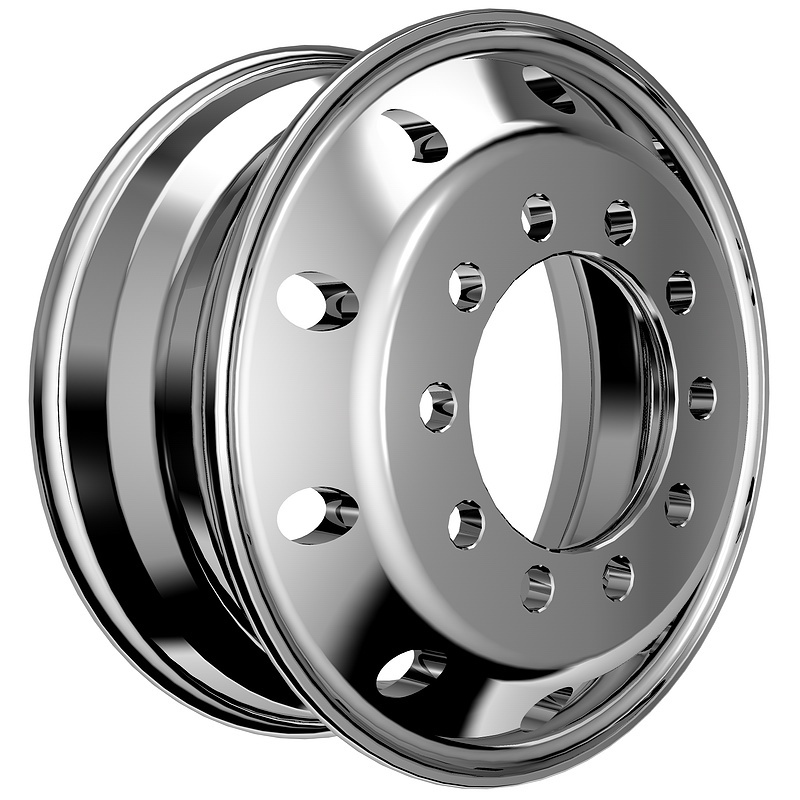 In China, aluminum alloy wheels are mainly produced by low-pressure casting, and some manufacturers use forging methods. In the face of these two different production methods, the design of the hub structure has also changed. At this time, finite element analysis Especially important.